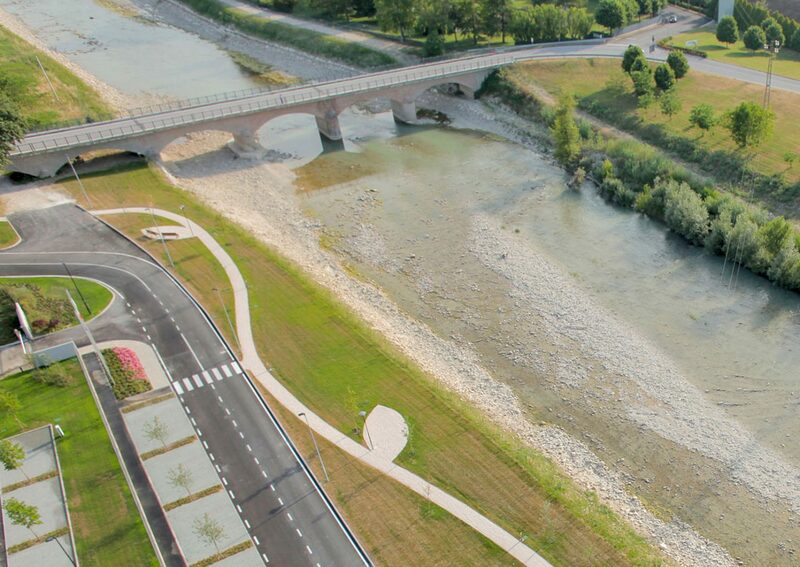 2 km di futuro® is the adoption project of a stretch the Esino river, bordering Loccioni’s campus and energy park. Once a menace of flood and disaster, the river turns into a resource, providing hydroelectric energy to Loccioni’s microgrid, a laboratory for the infrastructure safety and the flood monitoring, a new cycling path and landscape design for the entire community, that together with river accessibility recover also the value of its stories and traditions. 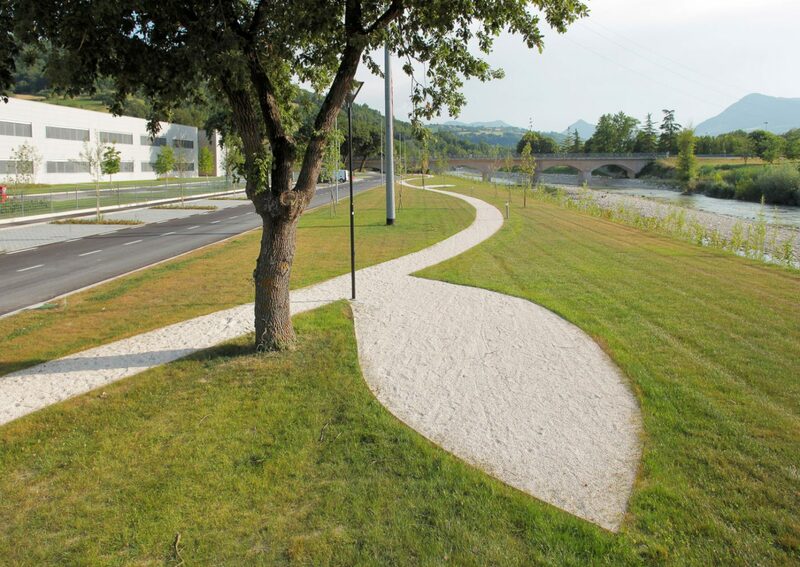 An entirely private investment (by Loccioni), in a public-private project (as the river is a public property) that has become a laboratory for social innovation and design, with the support of geologists, environmental engineers and landscape architects. 2 km di futuro® has been exhibited at Palazzo Italia in the Power of limits during EXPO Milan 2015. The pedestrian bridge 2068, designed by Architect Thomas Herzog, has been selected in Biennale di Architettura di Venezia 2018. The company lives and prospers if vital and prosperous is the territory where it is located, and it is its responsibility and interest to make sure of that.